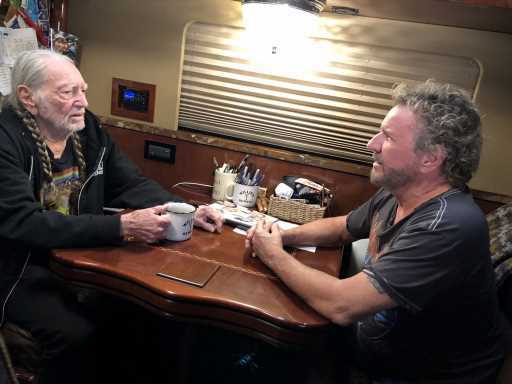 “I’ve been chasing you around for three years to do this show,” Sammy Hagar tells Willie Nelson in a preview for the fourth-season premiere of the Red Rocker’s music, food and travel series, Rock & Roll Road Trip. Hagar finally catches his quarry in Texas, where he joins the Country Music Hall of Fame member on his bus for a candid conversation. The Willie Nelson episode of Hagar’s Rock & Roll Road Trip airs Sunday, May 5th, on AXS TV at 8:00 p.m./ET. Nelson, seemingly forever on the road, will host his annual Fourth of July Picnic in Texas this summer, with Luke Combs, Nathaniel Rateliff and Alison Krauss on the bill. 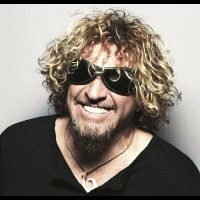 Hagar, meanwhile, is touring with his new band the Circle, featuring Jason Bonham on drums and his ex-Van Halen mate Michael Anthony on bass. The Circle will release their new album Space Between on May 10th.